In the 2/6 STEMdaily, FIRST and New Hampshire’s congressional delegation are working on a bill that would create a $1 commemorative coin to honor Christa McAuliffe, NSF’s science research funds are flowing again after the government shutdown, an update on STEM competitions the Regeneron Science Talent Search and the Apollo 50 Next Giant Leap Student Challenge, Microsoft & VictoryVR release free virtual reality STEM curriculum, and more on mindSpark, computer science funding from the U.S. Department of Education, and higher education! Hundreds of students took part Saturday in a robotics competition at Southern New Hampshire University. And the event came with an assignment from inventor Dean Kamen: He wants every student to get involved with an effort to honor a New Hampshire hero. 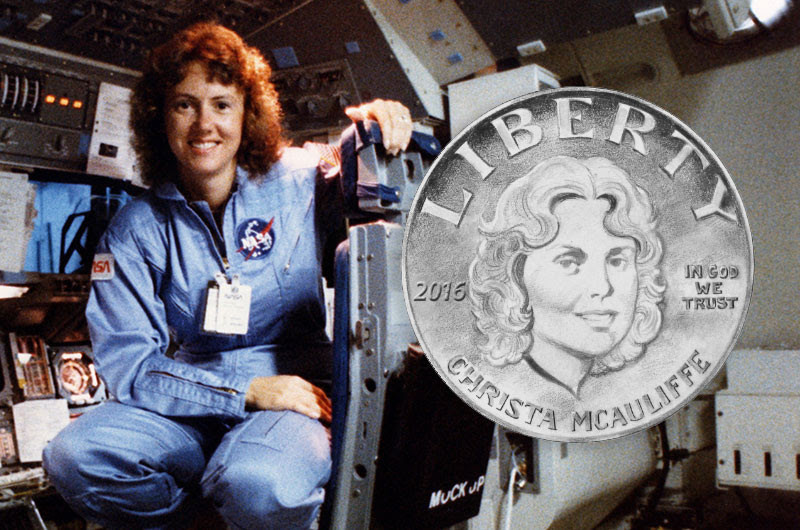 New Hampshire’s congressional delegation just introduced a bill that would create a $1 commemorative coin to honor Christa McAuliffe, the Concord teacher who died in the Space Shuttle Challenger disaster 33 years ago. Proceeds from the coin would go to the FIRST robotics program. The U.S. agency in charge of funding everything from hurricane research to exploring Mars is back to business now that the longest government shutdown in history has ended. But it isn’t quite business as usual. The NSF’s first priority is to ensure scientists already approved for funding receive their promised grants, starting with $220 million in requests received on the first day back to work January 28. The U.S. Department of Education just made a major move to support expanding K-12 computer science, especially for underserved student populations. For the very first time, the Department has exclusively prioritized funding for computer science in one of its major grant programs. This newsbuilds on years of momentum and is a moment to celebrate the work of all our partners in the Code.org Advocacy Coalition and the broader CS community. Microsoft and VictoryVR have made a library of virtual-reality-based science content available free to schools that are using headsets running Microsoft Windows Mixed Reality. 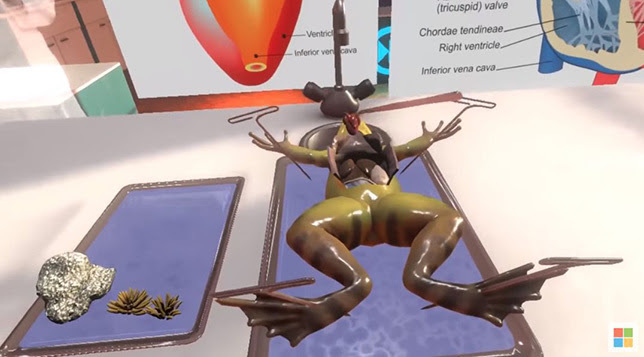 The content — 25 volumes worth — was developed by VictoryVR, a company that specializes in creating curriculum for VR-based learning. The content includes lessons involving earth formation in Iceland, genetics on an Iowa dairy farm, engineering concepts for the Great Wall of China and multi-cellular organisms in the Singapore Gardens. Lima schools received a commitment Tuesday from Nutrien to provide $30,000 over three years to help fifth-graders from South Science and Technology Magnet, Lima North Middle School and Liberty Arts Magnet to learn more about science through the Imagination Station program. A computer science project on swarming robots earned 17-year-old Grace Cai $25,000 for college. The Montgomery Blair High School senior is one of three finalists at her school and 40 across the country in the Regeneron Science Talent Search. “It shows that high schoolers also do research that actually has an impact on the world and encourages people to actually do research from a young age,” Cai said. Students who appreciate math have almost a month to create an “elevator speech” video telling others why math is important and relevant. One winner will have his or her one- or two-minute movie shown during an upcoming math conference and win $1,000. The contest is being hosted by the National Academies’ Board on Mathematical Sciences and Analytics (BMSA). It’s open to students as well as early career professionals. 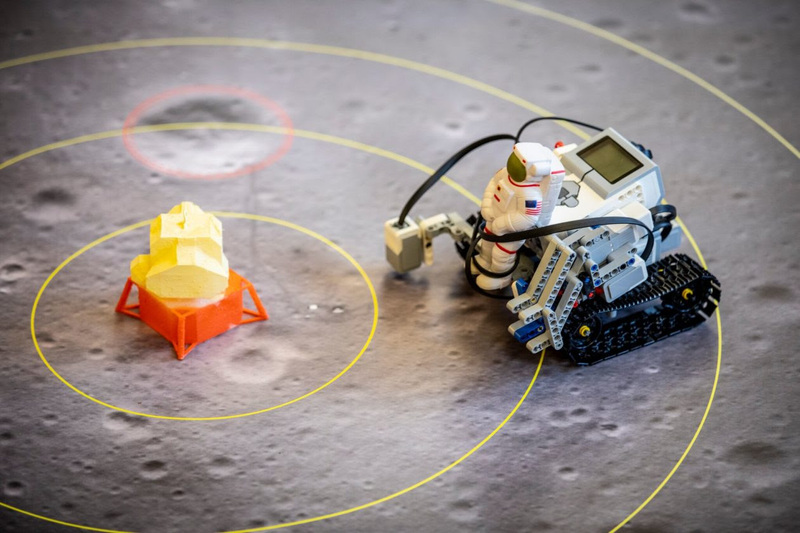 Fifty years after the first Apollo moon landing, students from across the country will get a chance to re-enact the feat with drones and robots, thanks to an educational challenge orchestrated by NASA and the University of Washington’s Northwest Earth and Space Sciences Pipeline. The event — known as the Apollo 50 Next Giant Leap Student Challenge, or ANGLeS Challenge for short — got its official kickoff today at Kent-Meridian High School in Kent, Wash.
Villa Maria College is offering two degrees aimed at supplying technology workers to surging and highly paid professions. The private Catholic college in Cheektowaga plans this coming fall to debut a bachelor’s degree of fine arts in video game design and a bachelor’s of science in computer software development.